While staying in Cairo, take the most efficient route to Luxor: by air. This full-day tour includes a round-trip plane ticket plus airport transfers. 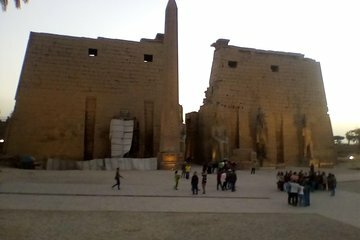 A private guide greets passengers on arrival and whisks you away to visit the most important sites of Luxor. See the Temple of Karnak, Valley of the Kings, Mortuary Temple of Queen Hatshepsut, and more. Lunch is provided.